Online casinos are probably the most brilliant thing that the Internet has influenced. The concept of gambling from your own home with just your computer, Smartphone or tablet is exactly what the 21st century is all about: using technology to make our everyday lives easier. Those online casinos are powered by big and reputable software companies and one among them is Realtime Gaming (RTG). RTG online casinos are very popular among US players and they are one of the few that still accept players from the US.This is because casinos using the RTG software are not required by RTG themselves to ban American players because of UIEGA. All new players get a $60 free no deposit bonus. Find the latest RTG games and progressive jackpots. 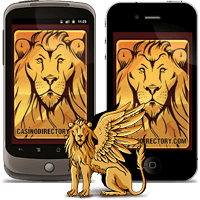 A very good US-friendly mobile casino app with many exciting games and features. With Realtime Gaming / RTG games you can be guaranteed 100% Fair Play. All games are tested and approved by TST (Technical System Testing) which is an internationally recognized testing facility. You can find a broad selection of casino games that include 3-Reel Slots, Video Slots, Fruit Machines, Baccarat, War, & 6 variety of Blackjack including Pontoon. The progressive slots of RTG are also extremely popular among players that feature games like Aztec's Millions, Jackpot Pinatas, and Jackpot Cleopatras Gold. When it comes to mobile gaming, RTG doesn't disappoint either. You can currently play over 10 mobile slot games that are compatible with both iPhone, iPad and Android. How do I get started playing at an RTG online casino? There isn’t much to it. 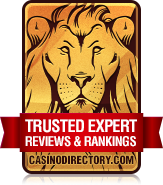 First read a review or two about some of the RTG online casinos at our site in order to find your perfect match. Then visit the online casino, and register. You can do that at the website or through the downloaded software. Then select one of the deposit methods offered to fund your casino account and enjoy RTG’s games. RTG casino bonuses seem higher than most software. How come? Realtime Gaming is known for giving freedom to online casinos that use its software, without imposing any restrictions regarding anything, including bonuses. This has resulted in RTG online casinos wanting to stand out from the competition by giving higher welcome bonuses. What is the maximum bet size? For example, the progressive slots and video pokers have a maximum bet size of $5. The classic Blackjack game and the poker variations have a maximum bet of $500, while European Roulette allows a $1,000 bet. Do Realtime Gaming casinos accept US players? Yes. This is a result of the freedom that RTG online casinos get by RTG themselves, as we mentioned before. If you are a US player looking for an online casino to play without any restrictions, look for online casinos powered by RTG. Do all casinos offer RTG networked progressive jackpots? Not all of them. It depends on what the online casino has signed up for with RTG, whether to offer the full library of games or just some. So, to find out if the RTG online casino of your choice has networked progressive jackpot games, use the ‘Games Preview’ button found at the home page of the particular RTG casino and you will see the list of games. Why RTG? Find out bellow in the next paragraphs. Besides being a popular software provider with awesome games, it is less likely that an RTG online casino will restrict players from signing up like other online casinos. Realtime Gaming has online slots with diverse themes, from historical to cartoon themes. This uniqueness appeals greatly withcasino players. However, RTG online slots are not characterized just by their design, but also by their bonus rounds and small jackpots, for which the RTG’s Real Series slots are known for. These Real Series slots feature many free spins,stacked wilds, bonus rounds, random jackpots and multiplier wins. Mainly they have up to 25 paylines, and offer a minimum bet of just 1 cent.There are also classic 3 reel slots and bonus 3 reel slots for an ultimate classy and vintage feel. The game of blackjack is a casino game with the lowest house edge, no matter what the software provider is. That house edge is around 1%. This is not the only reason why blackjack is so popular, it also provides a bigger control of the outcomes since it relies more on the skill of the player. The great thing with RTG is that it is estimated that the classic RTG Blackjack game has a house edge of just 0.56% if you use a proper strategy. It is the only blackjack game where players can play two hands at one time. Other blackjack variations that you can find at RTG online casinos are BJ and Perfect Pairs, Face Up 21, Match Play 21, Pontoon, Super 21, European Blackjack etc. These are very much unique by themselves and are greatly distinguished from the variations coming from other software providers. Video poker is another game where you can minimize the house edge below 1%, which can be used to your advantage if your luck serves you well to eliminate that 1% edge. RTG has many video poker variations. Some of them with the lowest house edge are Joker Poker Single Hand, Joker Poker Multi Hand, Pick 'Em Poker, Aces & Eights, Double Jackpot, All American, and the well-known Jacks or Better. There are about dozen more video poker titles by RTG. These games are usually offered in five denominations. If you play a single hand video poker then your maximum bet size will be $5. Otherwise, it is lowered to $1. The lowest bet you can make is 5 cents. The key to winning at video poker is to pick the casino with the best payout table and great comp points, such as, for example, Lucky Red Casino.Learn how to flawlessly play that variation by applying some strategy. RTG features a total of 14 different progressive jackpot games. Some of them are really unique in that they have several smaller jackpots available, not just the total progressive amount. Titles like Aztec’s Millions, Jackpot Pinatas,or Shopping Spree are always the first choice among players that love to play progressive games by RTG. However, slots are not the only progressive jackpot games that RTG online casinos have. There are also progressive poker games like Caribbean Stud, Caribbean Hold ‘Em, and Let ‘Em Ride. Americans in general are obstructed in playing at online casinos because of the many restrictions that American Government has passed in the Congress. Luckily, as we mentioned on several occasions, RTG casinos are very US friendly. Until the situation gets better, RTG will remain as the best choice for US players. Some of the best known online casinos that accept US players are powered by RTG, like Classy Coin, Lucky Red Casino and High Noon Casino. If you are American casino player and like to play progressive games, check out Lucky Red and High Noon.